Our optometrists are affiliated with the best surgical centres in the Greater Toronto Area. At Modern Eyes Optometry, we will determine whether you are a good candidate for refractive surgery, discuss various surgical options and co-manage your care following your procedure. There are a number of laser refractive surgeries available today; the most popular procedures are PRK and LASIK. 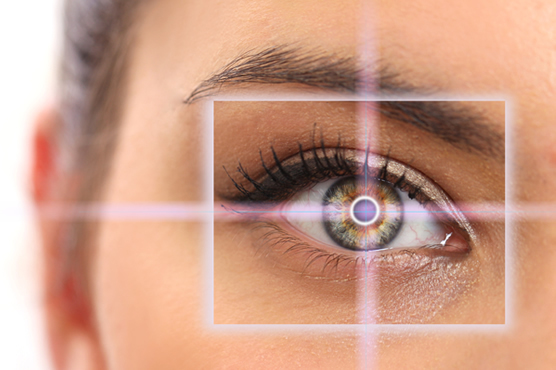 PRK was the first refractive surgery to use lasers, and it is still performed today. An ophthalmologist removes (debrides) a few layers of cells off the front of the cornea and then uses a laser to reshape the cornea, correcting the refractive error. The entire procedure takes approximately 10 minutes per eye. Vision clears within approximately one week and stabilises within one to two months. Although healing after PRK takes longer than LASIK due to the regrowth of the front tissue layer, one major advantage to PRK is the ability to treat patients with thinner corneas. LASIK is the most commonly performed laser refractive surgery. An ophthalmologist creates a thin flap in the outer layers of the cornea, folding it back to reveal the middle layers. The middle layers of the cornea are reshaped with a laser and the flap is then placed back into its original position. The entire procedure takes approximately 10 minutes per eye. Vision clears within 48 hours and stabilises within two weeks. Patients experience the same long-term success regardless of the type of surgery they undergo. Refractive laser eye surgery usually eliminates the need for distance vision correction; however, most patients will require glasses to improve their near vision at some point in the future. This is due to presbyopia, a condition that occurs in everyone as they age and typically begins around the age of 40. In addition to referring you to an experienced and trustworthy ophthalmologist for your surgery, our team will coordinate your preliminary assessment and postoperative surgical care. During your initial consultation, our optometrists will review your candidacy and take time to address any questions or concerns you may have, ensuring you fully understand what to expect with refractive laser eye surgery. After your surgery, our optometrists will perform five to eight follow-up examinations over a period of one year to confirm your eyes are healing properly and your vision is stable.